Did you know TheFireStore has an exclusive line of great bags and packs? There are bags of all sizes, for various purposes that will serve you well. Below are a few of our top-sellers. This oversized bag was designed especially for the active firefighter and is big enough to fit all your gear. At 30"x14"x17", it has the capacity to carry all of your equipment and supplies. It features a large, main compartment plus five zippered storage pockets that allow you to organize your gear and keep wet items separate from dry items. The advanced PVC inner construction offers big advantages over other materials. It's lightweight, easy to clean, stain-resistant, and fast-drying. 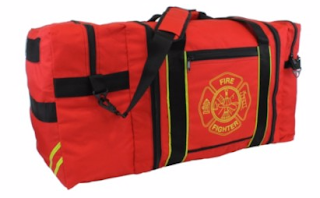 Learn more details of the Jumbo Firefighter Gear Bag. The Bailout Bag is a small rope bag filled with Personal Escape rope to use if you're ever in a bind. With a diameter of about 4" and a height of 7.5"-9", it's convenient enough to carry without weighing you down. 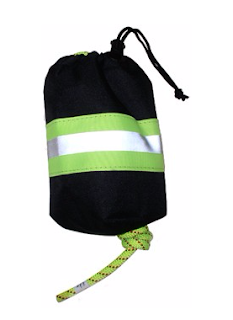 The bag has a chrome swivel snap hook for easy attachment to your gear, and a lime/yellow reflective trim to make it visible, and is available in four colors. Learn more details here. This a great bag option when you're looking to protect all styles of air masks. It's a rugged and water-resistant 1000 Denier Cordura Nylon bag that's outfitted with a soft felt lining. Placement of your mask into the bag is simple with it's top and side Velcro closure. A metal snap-ring is affixed to the bag for easy attachment to your gear, and the pull-tabs make for quick and easy access. Learn more details of the Brandywine Air Mask bag. 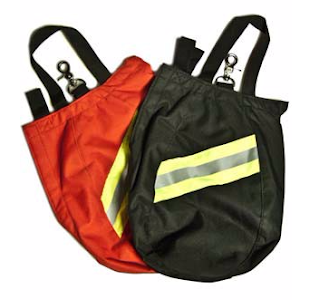 Find these and more great TheFireStore Exclusive bags and packs on our website.